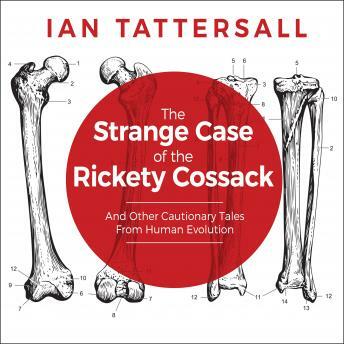 In his new book The Strange Case of the Rickety Cossack, human paleoanthropologist Ian Tattersall argues that a long tradition of 'human exceptionalism' in paleoanthropology has distorted the picture of human evolution. Drawing partly on his own career-from young scientist in awe of his elders to crotchety elder statesman-Tattersall offers an idiosyncratic look at the competitive world of paleoanthropology, beginning with Charles Darwin 150 years ago, and continuing through the Leakey dynasty in Africa, and concluding with the latest astonishing findings in the Caucasus. The book's title refers to the 1856 discovery of a clearly very old skull cap in Germany's Neander Valley. The possessor had a brain as large as a modern human, but a heavy low braincase with a prominent brow ridge. Scientists tried hard to explain away the inconvenient possibility that this was not actually our direct relative. One extreme interpretation suggested that the preserved leg bones were curved by both rickets, and by a life on horseback. The pain of the unfortunate individual's affliction had caused him to chronically furrow his brow in agony, leading to the excessive development of bone above the eye sockets. The subsequent history of human evolutionary studies is full of similarly fanciful interpretations.